Are you noticing thinning hair on the top or sides of your head? Are you noticing shedding hair on the pillow? Do you stress about losing your hair or have a family history of hair loss? Then you need to get Propidren Topical! Propidren Topical supports follicular growth and thickens hair naturally. 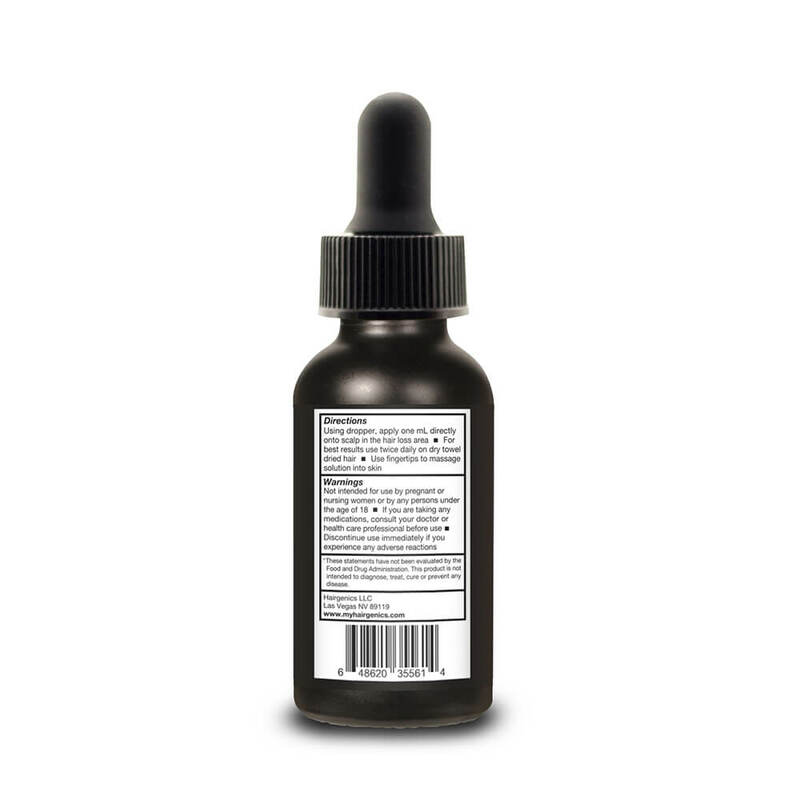 Just massage 1ml into your scalp 2x per day to help block the negative effects of DHT and DIRECTLY deliver vital nutrients to nourish the scalp, hair and hair follicles. 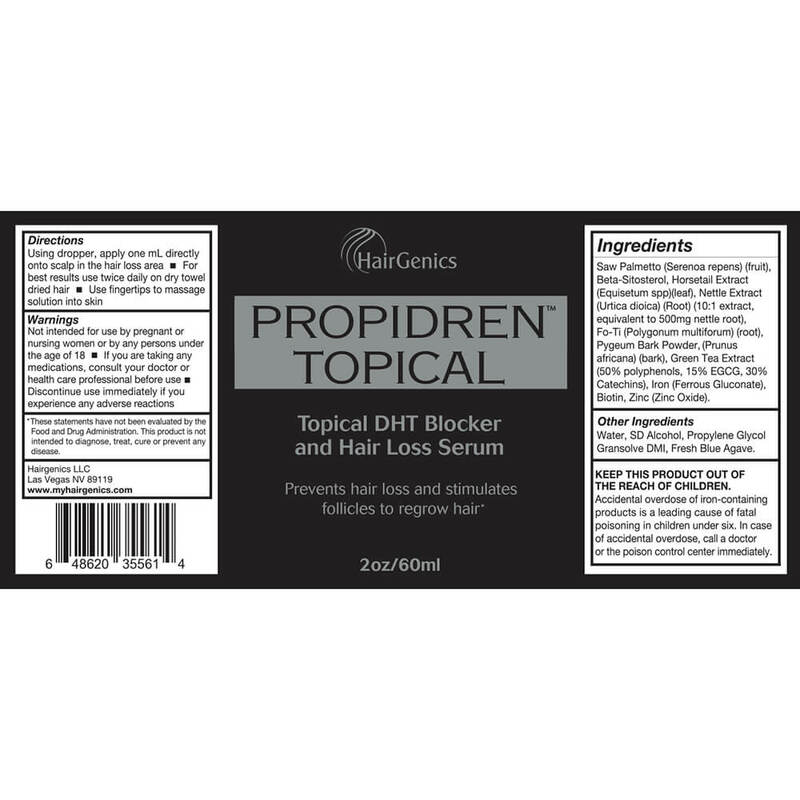 Safe, effective and drug free, Propidren provides a natural nutrient boost to fine and thinning hair. Our revolutionary formula works directly at the source (your hair follicels) to immediately block DHT and energize the scalp and nourish the hair with Biotin and other growth agents shaft to help produce stronger, thicker hair. 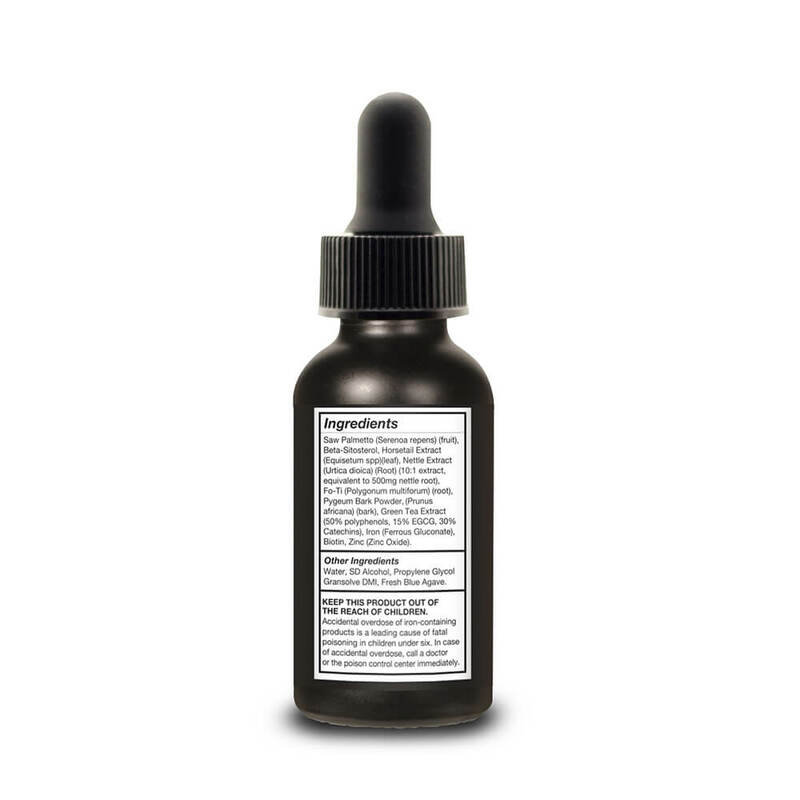 Propidren is the number one, safe and effective natural supplement for hair loss. Thickens hair naturally by stopping DHT from causing premature hair loss. Energizes follicular growth. Provides intensive nourishment to the hair and scalp from the inside out. Safe and effective for both men and women. Stop hair loss in its tracks, get Propidren today! We offer 30 day full money back guarantee, so you have nothing to lose. Try it today! 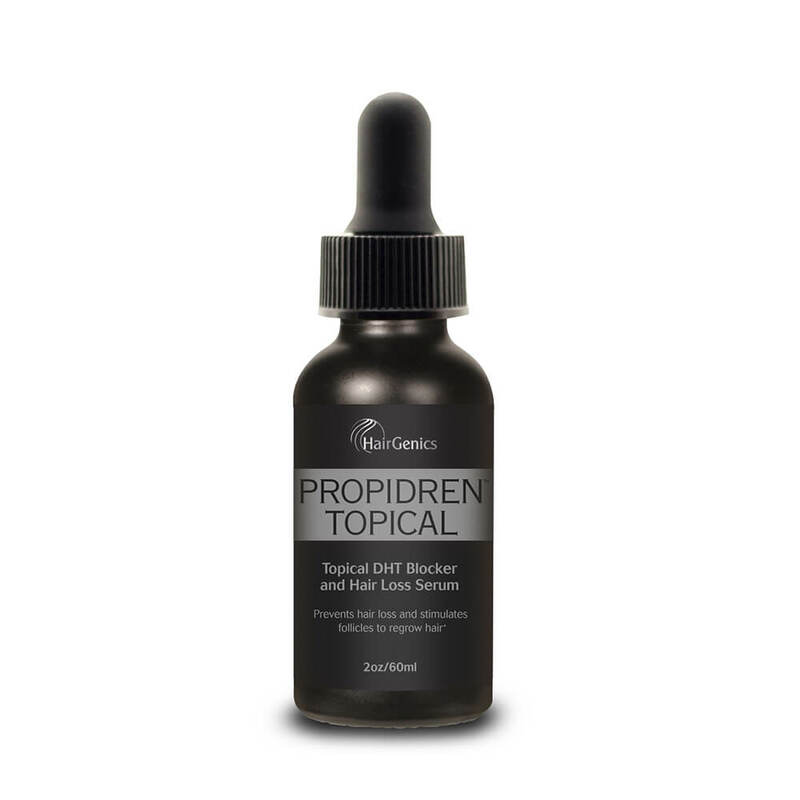 I received a sample of this topical serum before it was officially released as a loyal user of the other Hairgenics Propidren product for the last 5 months and so far I’m loving the combo of using both together and the pronexa hair growth shampoo. Will report back with a longer propidren topical serum review after I have gone through a full bottle or two.